An island-nation only miles away from its nearest neighbor, Malaysia, Singapore began humbly as a trading post for the East India Trading Company and was officially founded by British statesman Sir Stamford Raffles in 1819. 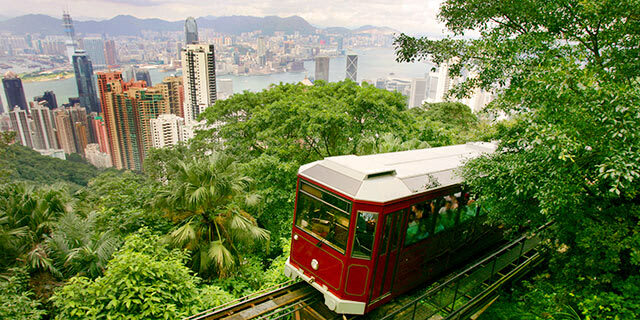 This small but fascinating country, whose name translates from ancient Sanskrit meaning “Lion City,” is overflowing with experiences that bridge ancient history with wonders of the modern world. 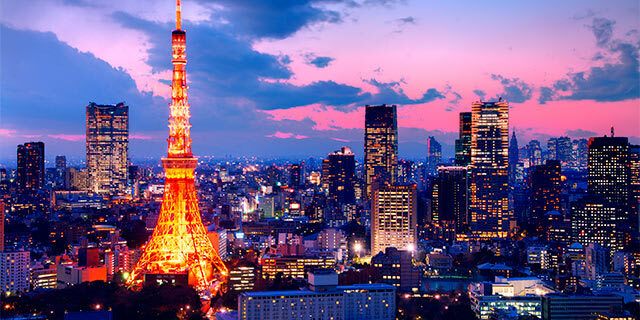 Walk along a neon-lit garden in the sky, sample sizzling street foods (including the world’s only $2 Michelin Star meal! ), and meander through each pristine neighborhood for unexpected moments. Throughout the city Indian, Chinese, Arab, Malay and European elements are woven together in a rich tapestry that creates a kaleidoscope any visitor will fall in love with, from food and architecture to religion, language and more! 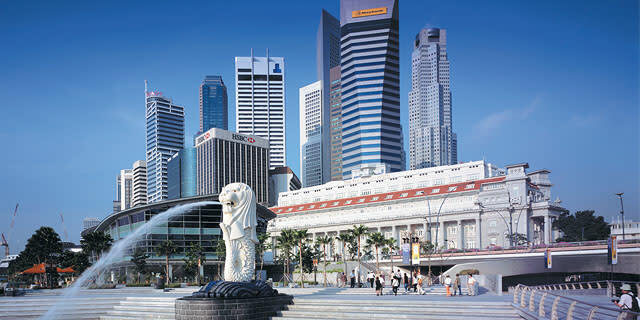 Singapore, whose name is derived from ancient Sanskrit meaning “Lion City”, began humbly as a trading post for the East India Trading Company and was officially founded by British statesman Sir Stamford Raffles in 1819. Though only 1,000 people were on the island when he arrived, the population quickly exploded—bringing commerce and industry to the relatively untouched land. The new markets for tin and trade brought Indian, Chinese, and Malay workers to Singapore, and cultural neighborhoods sprang up across the city. From the moment it began, multiculturalism has defined this island-nation. Today, Indian, Chinese, Arab, Malay, and European elements are woven together in a rich tapestry of Singaporean life. From food and architecture to religion, and language—visitors are treated to a kaleidoscope of cultures. Singapore has built a reputation for being a foodie city–and it’s no wonder why. From curries and dumplings to Nyonya (a delectable combination of Chinese and Malay cuisine) and even French and Italian cuisine, foodies come from all over the world to dine here! The best value in town can be found at the hawker centers. Whether a vast open-air common dining space or a packed food-court style space lined with “street food” stalls, hawker centers are ubiquitous in Singapore. In 2016, Singapore became only the fourth Asian country, and the first Southeast Asian country, to receive a Michelin Guide. The country boasts 29 restaurants with at least one Michelin star, including six with two stars and even one highly coveted three star Michelin restaurant. You can even eat the world’s cheapest Michelin star meal at the Hong Kong Soya Sauce Chicken Rice & Noodle hawker stall. Don’t skip Smith Street, known as “Food Street”. Popular among tourists and locals, the stalls along Smith Street are packed during the prime evening hours. 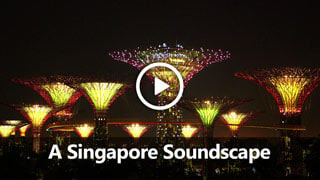 An iconic addition to Singapore’s modern skyline, the Gardens by the Bay embodies the country’s unofficial moniker, “City in a Garden”, by featuring 18 towering “supertrees.” These steel and concrete structures soar as high as 16 stories, providing shade during the day and a dazzling display of lights at night. Some of the massive “supertrees” also produce electricity via solar cells and many help ventilate and irrigate the adjacent conservatories! Take a walk along the OCBC Skyway between the two tallest trees for a 72 ft-high, birds-eye view of the city below or visit one of the many conservatories which feature more than 2,200,000 plants from ecologically endangered environments. One of Singapore’s oldest temples (built in 1821), the Thian Hock Keng Temple is dedicated to Ma Po Cho, “The Mother of Heavenly Sages” and the Taoist deity that protects travelers afar. Constructed of materials from across the world, the temple lives up to its name! Scottish iron work, tiles from England and the Netherlands, and massive granite pillars carved with dragons in China complete this beautiful temple. Historically, sailors who completed a safe journey to Singapore would offer thanks and gifts to Ma Po Cho at this shrine. Inside, you can visit the altar to Kuan Yin (goddess of compassion) and an extensive collection of tables and artifacts of the temple’s esteemed community members. In 2000, when the temple was restored, experts even uncovered a 1907 calligraphy panel from a Qing dynasty Empress! Sprawling across 128 acres in the heart of Singapore’s city center, the Singapore Botanical Gardens feature an extensive selection of trees from the region and across the globe. In addition to the main gardens, the Botanical Gardens are home to a few rare collections including the rose garden, National Orchid Garden, as well as an extensive palm and bonsai garden. The horticultural staff at the National Orchid Garden has been breeding stunning orchids for more than 80 years, producing a spectacular display of beautiful and rare orchids. More than 1,000 species and 2,000 hybrids are on display! 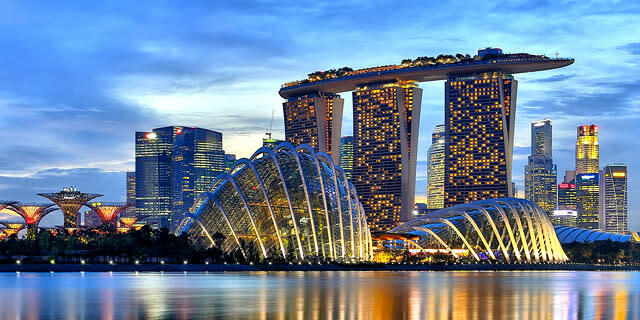 Already booked on one of our packages to Singapore? See everything you need to know before you go. U.S. passport holders do not need a visa to enter Singapore for stays up to 90 days. See the U.S. Dept. of State website for more information. When traveling to Singapore, Feburary is the hottest month with an average temperature of 81° F and the coldest is January at 79° F. The peak time to travel to Singapore is from March until May. In Singapore you'll be expected to pay small amounts in order to get things done, as well as to reward for jobs already accomplished. Shop for Asian antiques and artifacts, gold plated orchids, herbal supplements, watches and jewlery, decoration items and curios. 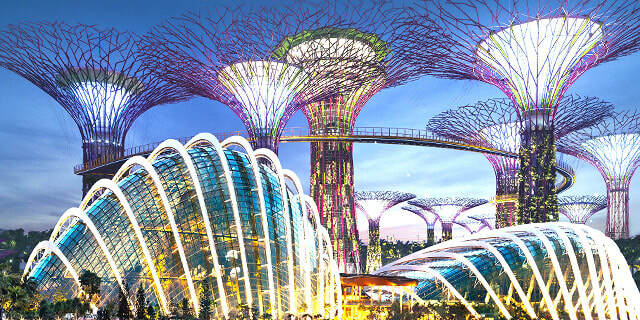 Check out our blog for our latest articles on Singapore.